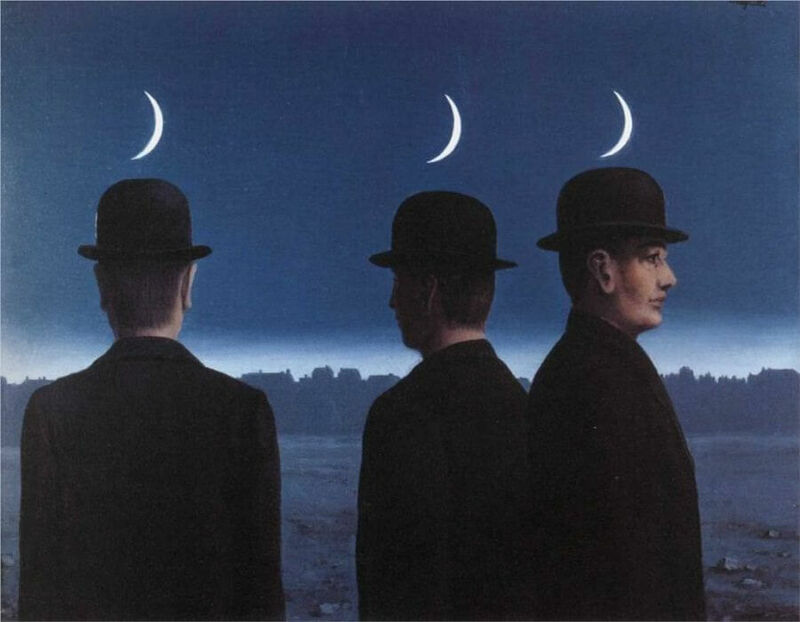 The Mysteries of the Horizon depicts three seemingly identical men in bowler hats. They are in an outdoor setting at twilight. Each one is turned toward a different direction. In the sky above each figure is a separate crescent moon.Men in bowler hats have appeared frequently in Magritte's work since his 1926 painting The Musings of a Solitary Walker. 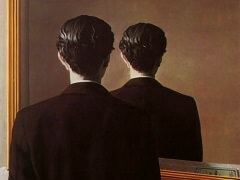 They are represented as having undefined or identical personalities. 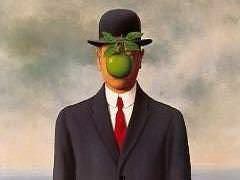 The works of Surrealism feature the element of surprise, unexpected juxtapositions, and the use of non sequiturs. Some viewed their art as an expression of a philosophical movement that was dedicated to revolutionary change. 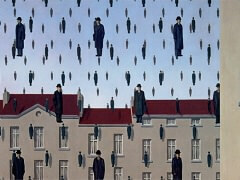 Magritte would ultimately break with Andre Breton, the founder of the Surrealist school. 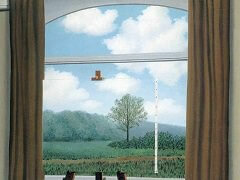 Magritte's work primarily addressed the issue of representation in the work of art. 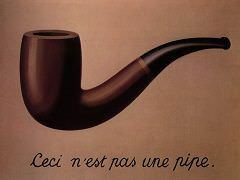 Magritte seems to suggest that no matter how realistically the artist can depict an item, verisimilitude is still an artistic strategy, a mere representation of the thing, not the thing itself. The philosophical basis of this perspective appears to be the Kantian distinction between noumenon and phenonomenon. 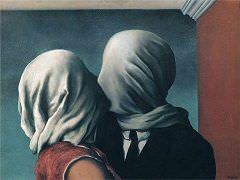 The artist deals in phenomena only. This Kantian perspective is the basis for modern relativism. Since observers are limited only to each individual perception, one can never know the universal, which essentially ceases to exist for beings like humans.